Five ducklings…and a watchful mother..! 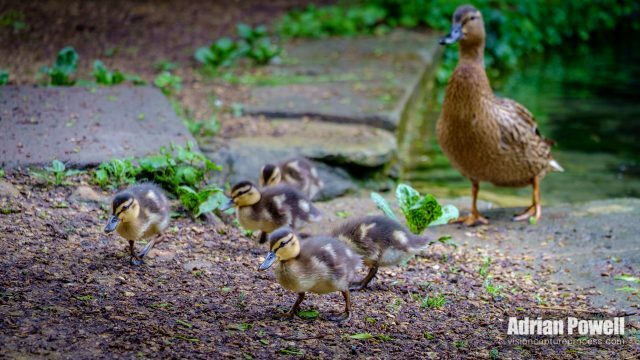 After a long hiatus, here is one of many photographs I have taken over the past few months – Five ducklings and a watchful mother! Coaxed out of the pond by some pitta bread that I had brought with me…greedily eaten by all five – I think mum got some as well! Taken in the Secret Garden at Shipton-under-Wychwood.